Sandy is a wife, a mother of three and grandmother of seven. She has more than a decade of Paralegal experience in the areas of Criminal, Personal Injury, and Family Law. She also has an extraordinary knowledge of traffic law and is extremely well versed in the handling of Class C citations (traffic tickets). At Warren • Healy, she facilitates the communication and the workflow within the Firm and between the Attorneys and the Clients. The training Sandy gained in her previous Paralegal positions at The Cochran Firm and The Jackson Law Firm has given her the skills to achieve the immediate and the long-term goals and operational requirements for Warren • Healy. 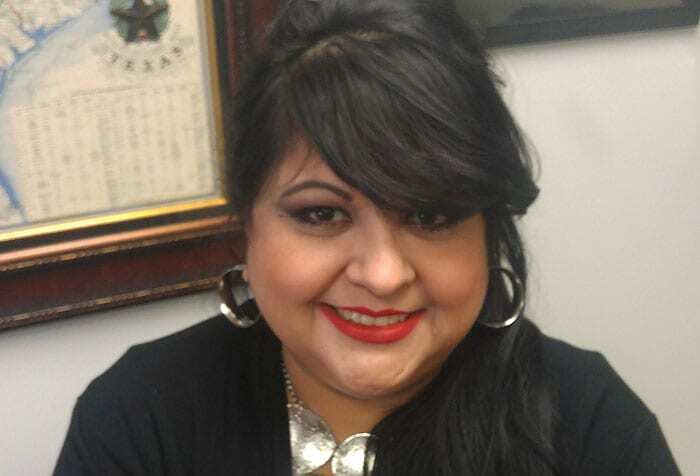 Sandy is a 2001 graduate of the University of Texas at Brownsville, where she earned a Bachelor of Science in Criminal Justice Corrections and received her Paralegal Certification from Kaplan College, an ABA Approved Paralegal Program. She is also fluent in Spanish and is a Certified Notary Public.